Pakistan is the most successful team to take part in the men’s Hockey World Cup, with four wins to its name. These victories took place in the early years of the competition, however, since then the tournament has gone on to provide some exciting, compelling and memorable moments. 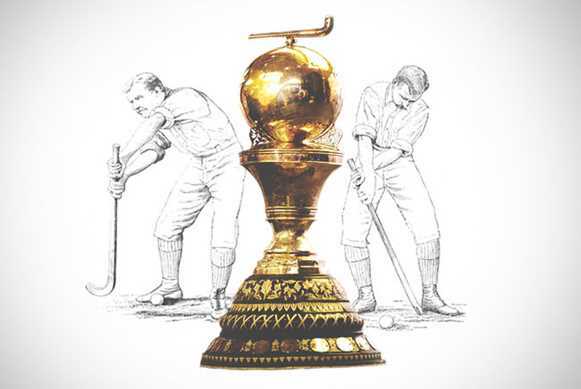 The event itself, which was initiated by the Pakistan Hockey Federation, began life as a 10-nation event in 1971. The first World Cup was due to be held in Pakistan, but political tensions meant it was relocated to Barcelona, Spain. Despite this, it was still to be Pakistan’s moment of glory as they swept to victory. Following that event, the World Cup has changed shape several times. The 1978 edition had 14 entries, and was won by Pakistan; in 2002 there was a record 16 teams, with Germany taking its first gold medal, and since then the format has stuck to 12 nations. India has qualified for the World Cup more times than any other nation (14), but its sole win at a World Cup came at the expense of Asian rivals Pakistan in 1975. One of the goal scorers at Kuala Lumpur was Surjit Singh, the India captain. Singh, who also led India to two Olympics (1972 and 1976), was tragically killed in a car accident in 1984. His name lives on through the Surjit Hockey Stadium in Jalandhar and the Surjit Hockey Academy, run in Punjab. Spain probably counts itself as the unluckiest nation at the World Cup. The Red Sticks have the second highest number of qualifications (13) but have yet to win the trophy, losing to Pakistan in the final in 1971 and the Netherlands in 2002. The World Cup has created household names among the Spanish players, including Eduard Tubau, Pol Amat and Santi Freixa, who are all recognised as world class players. While many of the competing nations remain constant – Germany, Australia, Netherlands – the World Cup timeline also shows how the global order has changed over time. Fourth place in 1971 went to Kenya, who were narrowly defeated by India in the bronze medal match; in 2002, Cuba – currently ranked 50th in the world – qualified from the Pan American region; Argentina arrived in 2014 ranked 11th in the world and left with a bronze medal; and Belgium, who are now high fliers with strong hopes of a medal in 2018, had never finished higher than eighth before 2014. With the Hockey World League now providing an additional way for nations to qualify for the World Cup, there is every chance the hockey landscape will see further exciting change as new teams challenge the old order.